During the initial consultation we will only ask you for general and basic information to better understand your situation so we can provide you with more accurate advice and cost assessment. The information that we obtain pertaining your personal information will be used for billing purposes. 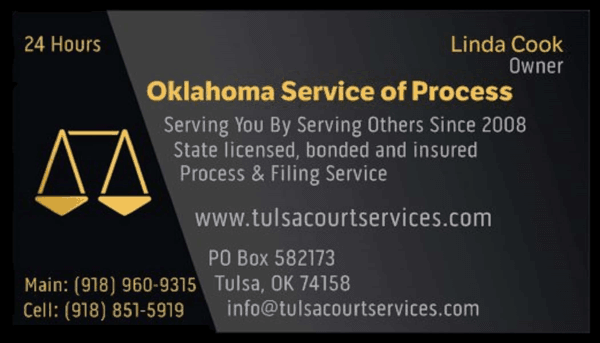 We also will use your information for screening purposes to determine your intent for requesting our services; in other words we need to be satisfied that you are not misrepresenting your intent for requesting our assistance. We are committed to ensuring that your information is secure. In order to prevent unauthorized access or disclosure we have implemented suitable physical, electronic, and managerial procedures to safeguard the information that we collect. We implemented a variety of security measures to maintain the utmost care of your personal information. Our computer network has hardware and software firewalls and all files are password protected. DO YOU DISCLOSE ANY INFORMATION TO THIRD PARTIES? We do not sell, trade, or otherwise transfer clients personally identifiable information to third parties. Yes, the only time client confidentiality is eliminated/discarded is if you fail to pay for our services. 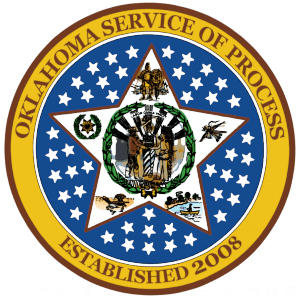 As a general rule, Oklahoma Service of Process does not collect PII about you when you visit our website. We will use the information you provide to respond to your inquiry. Electronic messages that are not records are deleted when no longer needed or at client request. 1. The Internet domain from which you access our website. 6. The Universal Resource Locators (URLs), or addresses, of the pages you visit. 7. Keywords used on a search engine before landing on TulsaCourtServices.com.